With gilt. 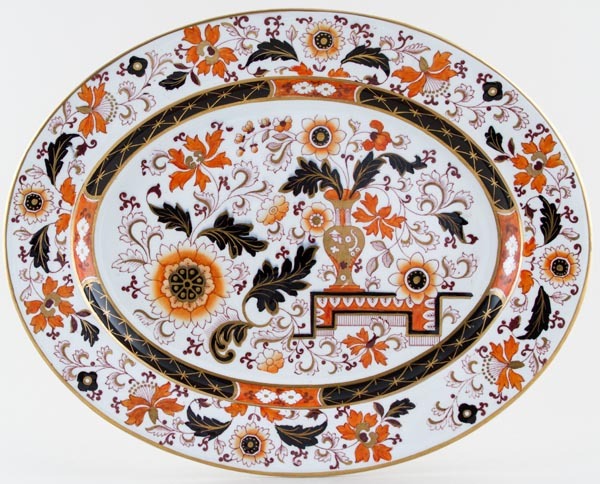 Hues of terracotta, black, wine red and gilt resulting in a stunning platedish. Backstamp: Royal Arms Crest with Ironstone China below and impressed Ashworth real Ironstone China and in script B3194. Excellent condition. OVERSEAS SHIPPING OUTSIDE EUROPE Owing to the size of this item a supplement of � about US$52 will be added to the standard overseas shipping charge.